Get your escape off to an incredible start by studying up on Suvereto before you jet off. This town lies 7 miles (11 kilometers) northwest of Follonica. 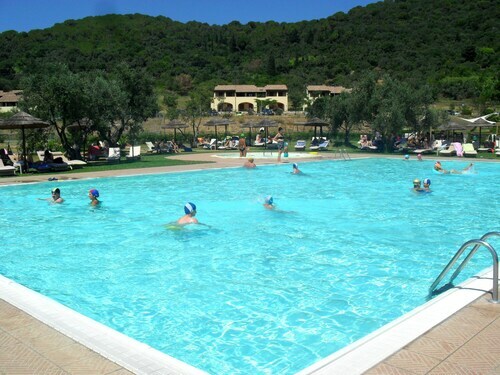 You'll also find it 8 miles (13 kilometers) east of San Vincenzo. Traveling is about meeting new people, so why not make pals with some of the 2,000 locals who reside in this area of Livorno? If you're organizing a vacation in Suvereto, you'll want to hear this! You can save heaps by locking in a Travelocity flight and accommodation package deal. Simply select from no less than 400 airline partners and 665,000 lodging options. Way too many choices? We'll make it simple for you! Our Customer 1st Guarantee gives you the added security of 24/7 personal assistance on everything from flights and accommodations to car rentals and activities. If you happen to notice a lower price on another website, we will return the difference^. Adjustments to airfare and accommodation bookings will not incur extra charges from us. And as long as you get in quick, many accommodations won't charge you a fee either^. Suvereto is always a good idea, especially when you have 18 fantastic accommodations to pick from through Travelocity. The trip you've been dreaming about is yours in just a few clicks! Trying to find a place to stay can sometimes be a little tiresome. Make the process easier on yourself and check out some of our recommended options, the Tenuta La Bandita and Tenuta di Seripa. Where do you fly into for Suvereto? There's nothing more exciting than arriving in a new place. If you've booked a flight for Suvereto, chances are you'll disembark at Galileo Galilei Airport (PSA). It's roughly 45 miles (72 kilometers) to the north of the main streets. Collect your bags and get set for an amazing adventure! Can I rent a car in Suvereto? Whether you're going to Suvereto by yourself or with a bunch of buddies, it's always more convenient to have a ride. Travelocity has a variety of rental car options, so pick one now and start creating your road trip playlist right away! If you're touching down at Baccarini Airport and would like a car as quickly as possible, make tracks to Europcar. You'll find it at Via Monterosa 15B, 25 miles (40 kilometers) from the terminal. There is no better teacher than history. Travel into the past for an eye-opening lesson at Archaelogical Mines Park of San Silvestro. Want more ideas? Fine wine lovers should seize the opportunity to enjoy some distinctive blends and warm hospitality at Rubbia al Colle. But there's more. Wine bottle labels usually only tell us half the story about the drop inside. Why not visit Petra for the full history behind their blends? Suvereto has an abundance of things to do, but if you want to explore further afoot, you're in luck! You have internationally famed tourist attractions right around the corner! People from all corners of the globe head to Siena Cathedral. It's easily accessible from San Salvatore a Pilli, which is 35 miles (56 kilometers) away. This family-friendly Suvereto residence is located in a rural location, within 3 mi (5 km) of Rubbia al Colle, Terradonnà and Pieve di San Giovanni. Archaelogical Mines Park of San Silvestro and Calidario Terme Etrusche are also within 6 mi (10 km). 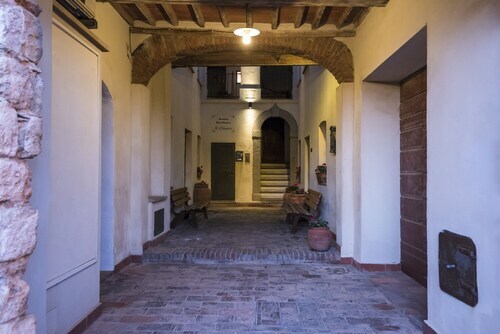 Situated in Suvereto, this apartment building is 1.4 mi (2.3 km) from Terradonnà and 1.6 mi (2.6 km) from Rubbia al Colle. Pieve di San Giovanni and Calidario Terme Etrusche are also within 6 mi (10 km). Situated in Suvereto, this farm stay is 3 mi (4.8 km) from Rubbia al Colle and within 9 mi (15 km) of Terradonnà and Pieve di San Giovanni. Calidario Terme Etrusche and Archaelogical Mines Park of San Silvestro are also within 9 mi (15 km). This family-friendly Suvereto farm stay is located in a rural location, within 2 mi (3 km) of Terradonnà and Rubbia al Colle. Archaelogical Mines Park of San Silvestro and Pieve di San Giovanni are also within 9 mi (15 km). Situated in Suvereto, this property is 1.3 mi (2.1 km) from Rubbia al Colle and 1.4 mi (2.3 km) from Terradonnà. Pieve di San Giovanni and Calidario Terme Etrusche are also within 6 mi (10 km). 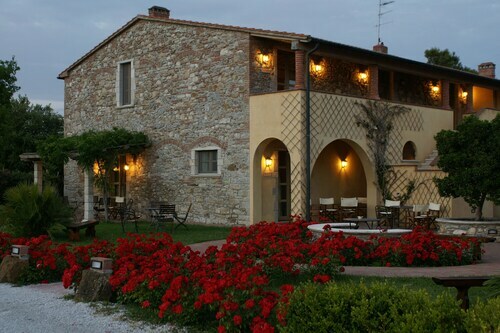 Situated in Suvereto, this residence is 1.4 mi (2.2 km) from Terradonnà and 1.6 mi (2.6 km) from Rubbia al Colle. Pieve di San Giovanni and Calidario Terme Etrusche are also within 6 mi (10 km). Situated by the ocean, this property is 1.3 mi (2.1 km) from Terradonnà and 1.5 mi (2.4 km) from Rubbia al Colle. Calidario Terme Etrusche and Pieve di San Giovanni are also within 6 mi (10 km).